In the Spring of 2011 Israelle (Izzy) began to complain that her tummy hurt. I have read that somewhere around 50% of all trips to the pediatrician are concerning ‘tummy aches‘ so I wasn’t surprised when our pediatrician treated her for heartburn and then constipation. But when none of it worked we were referred to GI. Over the course of several months we did x-rays and ultrasounds, endoscopies and blood work. Everything came back fine. But Izzy wasn’t fine. She went from whining 3 to 4 times a week to screaming 3 to 4 times a day. She went from holding her tummy to dropping to her knees. She would wake up screaming in the middle of the night curled up in a tiny, helpless ball. They said she was fine but I knew something was wrong. I demanded answers. And on December 23rd I got them. There is a certain kind of pain that goes so deep into your being that you feel it in places you didn’t know could feel emotion. It’s a kind of pain that doesn’t just leave scars, but takes massive chunks out of you when it finally leaves. It’s a kind of pain that once you’ve felt you can never forget. You remember exactly where you were when it’s waves knocked you down gasping for air. I was in Izzy’s room when it’s waves hit me for the first time. I remember staring at a little pink clock with yellow hands on the side of her play kitchen. Time stopped as I heard the doctor’s words on the other end of the phone. Innocence ended. They had found a mass. A neuroblastoma. Because of the holiday they didn’t operate until the 27th. Four days we waited. We stayed home and had a ’normal’ Christmas. They removed the tumor and the left adrenal gland where it had formed as well as the surrounding lymph nodes. It was staged 2B and she didn’t need any treatment. They said 90% of children go on to live healthy vibrant lives, but we weren’t fortunate enough to land in that 90%. When her 6 month checkup finally rolled around in June, life was finally normal again. My son had just had neurosurgery to correct an issue with his spinal cord three weeks before and it was starting to feel like we might see some victory in 2012 after all. As we walked into the Oncology Clinic it had never crossed my mind that we might get bad news. I was standing at the doctors desk staring at a computer screen when the waves hit me this time. He was showing us the images from the scan and pointing to the large mass that had formed since our last scan. Just like going under water his words got quieter. This time I was focusing on the large dark mass in front of my eyes. As he zoomed in from different angles I began to no longer hear what he was saying. I was absorbed by the darkness beginning to consume the scream. Days later we were told the neuroblastoma had spread to the bone. It was now Stage 4. So here we are. I invite you on this journey with us as we begin the fight of our lives. As we cry out daily to the Lord for healing and stand firm in the authority He has given us to declare it. 2 Corinthians 7:6 God, that comforteth those that are cast down, comforted us! Please walk through this house and take away any illness or pain. Bring quite where their is chaos, bring ling where their is darkness, and bring joy to their hearts. Please god, heal this little girl. Remove any illness, pain, and keep them away from this family. 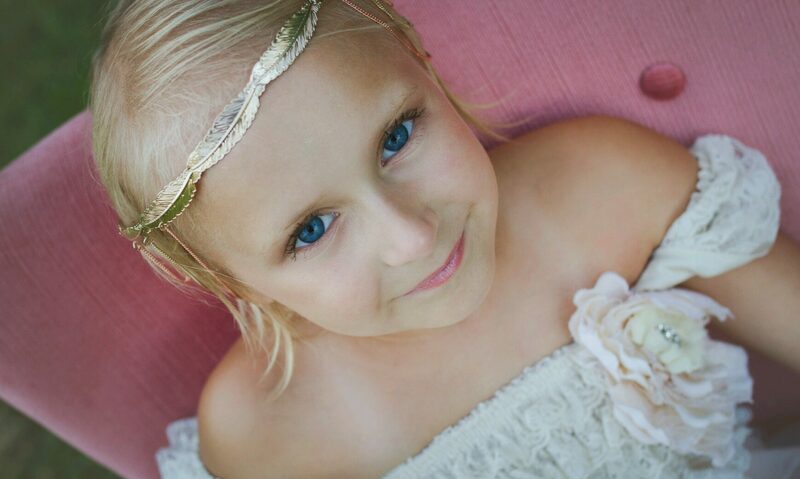 We trust in you lord that you have the power to heal this little girl. We may not understand your plan, but we trust you. In Jesus name we pray. You do not know me, but I stumbled across this page via a link from Facebook (I am friends with Maryann Kelly). At 2 months of age, I was diagnosed with neuroblastoma…the same sort in the abdomen. Like Izzy, I had been crying and screaming as an infant until my parents, who tried everything else under the sun, finally took me to see a doctor. I am not clear what stage it was initially and they were able to remove the mass from my abdomen at such a young age. However, almost a year later, at 18 months of age, it came back and was stage 4. I underwent scans and chemotherapy for a few years (until around 3 or 4) and even had my own bone marrow extracted in the event I needed to become my own donor at a later stage. By God’s grace, I survived and am now a 31 year old woman. I share this story to give you all hope. I will be praying for you and especially for Izzy. May the Lord go before you and your little one. If you need someone to talk to about any of this, please feel free to email me back. My (foster) daughter was diagnosed in January with Neuroblastoma. Stage 4, high risk. She turned 16months this weekend. We’ve got a long road ahead. Thank you for your story of victory!!! How do I order a shirt?. We will be praying for peace of heart & mind for your family. I am truly amazed of your strength & continue to look towards God. Izzy has been doing wonderful. 🙂 She came home on the 23rd with energy and enthusiasm claiming she didn’t want to “waste any Christmas time.” She spent the whole week playing with new toys and was out in the snow every chance she got! Your little Izzy is a sweet angel! I’m Carmen, the daughter of your neighbor near the end of the street in the yellow house. I’m addicted to your blog and knowing how Izzy is doing. I think about her all the time. And bout you and your husband as parents and how it might be for Izzy’s brother. I hope that one day I will get to meet sweet Izzy, but I hope when I do she is very strong because I’m going to want to hug her so tight!! 🙂 I love how she doesn’t take a single second for granted!!! It’s awe-inspiring! And your strength, even in the most difficult times, and through the loudest cries, is also very inspirational and humbling. May God bless you and keep you and hold you very tightly in his ever comforting hands. I’ll definitely pray for Izzy’s recovery. Hang in there. I also believe that God will make things right. God bless you. Hi i am Jaz , Katie’s friend and she has told me alot about izzy i have felt very sorry for what your family has gone thought i just what to say a little something to izzy… Izzy i know you probably don’t know me but i am so proud of how you have delt with this and i hope it clears up very soon and the lord will watch over you and your family. I am going to keep you in my prayers and forever and always keep you in my mind. Hi my nme is Linda Bitner I have been friends with your grandmother Sharon for a long time. She told me Izzy’s story and it broke my heart that such a sweet little girl would have to endure so much, just know that you have so many people praying for all of you. Sharon has so much faith that she will recover I know it will happen. You all are in my prayers everyday. You have been in my prayers always. I look forward to all of your updates on Izzy. I was wondering if you felt up to helping someone who is a parent to a child recently diagnosed with the neuroblastoma. I know you are still going through this journey so if you would rather not that is fine, I just know you were always a blessing to me. We go before you in prayer, lifting Izzy up! God is the God of miracles. Keep the faith, even on dark days. Our friend, young mom of 5 with a very aggressive and difficult cancer, has been declared in remission. You are not alone. On the days you can’t find strength to prayer, rest assured those of us you have never met will be the army behind you!